A malfunctioning HVAC or heating, ventilation, and air conditioning system can be very frustrating. What is even worse is that these types of problems usually take place when there’s a great need for heat or cool air. In case you notice your HVAC system is acting weird lately and you are not sure if you have to hire a repairman to check it, you better read on. Provided below are three of the biggest signs that you have to call an HVAC contractor right away. Odd smells and sounds are both red flags that there could be something wrong with your unit. When it comes to the smell, you have to consider an HVAC repair once you notice a musty or electrical odor. A musty scent can mean you have a mold issue while an electrical smell could imply that your unit has a bad part or a defective electrical wiring. Some of the specific noises you need to take note of include high pitched whistling (indicating clogged filters or obstructed ducts), rattling (broken hardware), humming or buzzing (failing capacitor or fan), metal clanging (damaged fan blades), and loud pops during engagement (incorrectly sized ducts or clogged air filters). You might have a mild problem with your nit if you are not feeling sufficient air from the vents in your house. It can be due to a blocked vent or a clogged filter. However, this could also be a sign of a more serious issue. Be sure to check your vents and filters first. Change the filter in case it has been quite some time since you’ve done this and get rid of any blockages from the vents. In case the insufficient airflow still exists, your unit may have an issue with its ductwork or compressor. These problems have to be tackled right away so be sure to call a professional Florence HVAC contractor immediately if you believe at least one of them is the cause of the problem. Other reasons that could cause poor airflow include filthy coils, sluggish fan, thermostat problems, oversized unit, or an old system. Always remember that poor airflow is not always noticeable. Apart from a lack of air that comes from the vents, you may notice that random cold and hot spots throughout your house. Pressure imbalances are also common signs of poor airflow. Several homeowners link allergy flare-ups to lack of humidity or abundance of contaminants. These can trigger allergic reactions however before you begin an air purifier vs humidifier debate with someone else, you should look into hiring a contractor that provides HVAC repair to determine if that can help fix the issues with allergies. Pet dander, pollen, dust mites, and other contaminants can accumulate in the air in case your HVAC unit is not working correctly. A clean air filter is important if you want to keep your home allergen free. Routinely changing your filters as well as cleaning up your air ducts will significantly decrease your allergy symptoms. In case you are thinking of upgrading your HVAC unit soon, you should consider a unit that changes indoor air with filtered outdoor air. These kinds of units can assist in the ventilation, which decreases mold growth and lessens other air pollutants. 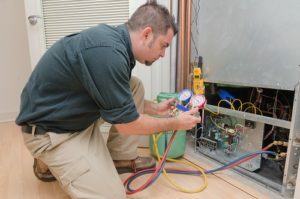 Now that you can tell if your HVAC unit needs a repair, it is time to get it fixed as soon as possible if you do not want to get stuck without heat during winter. Call Florence HVAC Experts if your HVAC system needs repair, maintenance, or replacement.